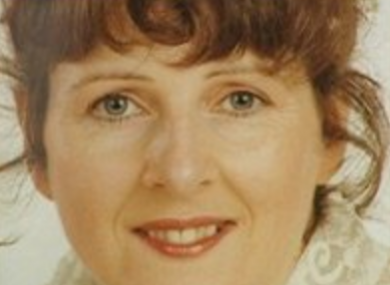 Mum-of-three Irene White was murdered 13 years ago. A MAN IN his 40s has been arrested in connection with the 2005 murder of Irene White. Yesterday, Anthony Lambe (34) was sentenced to life in prison for stabbing the mother-of-of three to death at her home in Dundalk. Lambe claimed to gardaí that an individual had asked him to kill White on behalf of someone else and that he received payment for doing so. This evening, gardaí have said they have detained another man in connection with the ongoing investigation. The man is currently being held at Dundalk Garda Station where he can be held for up to 24 hours. Lambe was arrested by gardaí last year after a tip-off led officers to his front door, he eventually admitted to killing White. One avenue of investigation now being pursued by gardaí is that at least two other people were involved in orchestrating her murder. Email “A day after a man was sentenced for Irene White's 'brutal' murder, another man has been arrested”. Feedback on “A day after a man was sentenced for Irene White's 'brutal' murder, another man has been arrested”.